We have selected the finest equestrian products to offer you to enhance your sporting experience. Please choose a category below to learn more about what we can do for you. 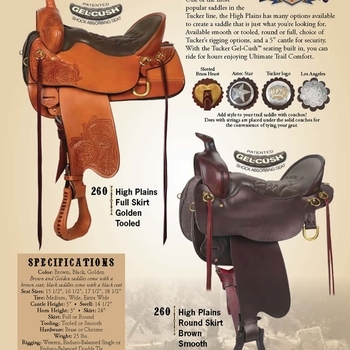 From the rail to the trail and the ride to the slide;we have saddles for all western events. Expert saddle fitting available by the region's only qualified saddle fitter. We are now a Double J saddlery dealer! These beautiful saddles are works of art, with the finest materials and craftsmanship. Beautiful handmade saddles made to your exact specs. In stock w/Ladies Fenders-avaialble with youth fenders. A great saddle for the multi event competitor. The classic Tucker trail saddle that has set the standard for comfort.5" cantle provides lower back support on rought terrain. In stock: 16 1/2" with standard Gel-Cush seat for those who prefer a narrower seat. Brown smooth leather with Brass trim. Many options available. Call for pricing. 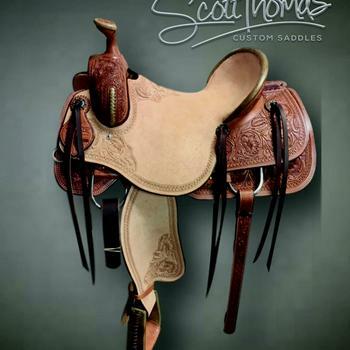 We are the Western slope distributor of Rico hand made saddles. These good looking ranch saddles are made by Billy Cook's son in law, so you know he learned from a master. 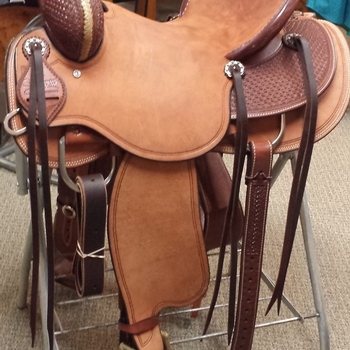 We stock the Cowboy ranch saddle. Excellent saddle for Western Dressage:fender are hung back under the rider,cut away skirt allows close contact.Trail fender are flexible allowing easier use of leg aides.Double "C" rigging allows for proper alignment of cinch.